Home Latest News ERP Is SAP tilting at Salesforce CRM crown? Is SAP tilting at Salesforce CRM crown? SAP has announced that several companies have selected SAP Sales Cloud solution. In addition it revealed that it has integrated some of the CallidusCloud products to SAP Sales Cloud. This includes Datahug and the CallidusCloud incentive compensation management solution. SAP Sales Cloud is a unification of SAP Cloud for Customer, SAP Revenue Cloud and CallidusCloud. SAP completed the acquisition of CallidusCloud in April this year and it has wasted no time in integrating the products. It is part of a strategy has to become the leader in the CRM category. 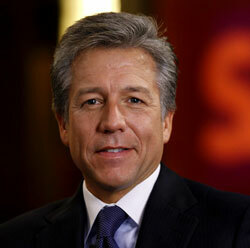 Bill McDermott, CEO SAP commented in an analyst call earlier this year: “Ours is to redefine the CRM industry. We have the strategy. We have the solutions. We have the ambition. “ (Source https://seekingalpha.com). For SAP to execute on the strategy it has a long way to catch up with Salesforce. This latest announcement sees three companies adopt the SAP Sales Cloud, often as part of a wider SAP architecture. The companies concerned were: Deutsche Telekom, Cooler Master Corp. and KBS Group. Cooler Master replaced a legacy solution with SAP Sales Cloud. It has used SAP C/4HANA to improves its sales models, notably its after sales business and forecast management. SAP Sales Cloud is part of a wider digital transformation project that also included SAP Service cloud. The implementation was supported by Sopra Steria Consulting. Why is SAP succeeding? Is it succeeding? House’s premise is flawed. There is no doubt that the relationship and the trust that develops between organisations is very important. However, if the price and product are not right for the business then the company is much less likely to buy. SAP needs to demonstrate that the product not only works but that it can deliver value quickly. Businesses no longer want a three-year implementation time. Anything longer than 100 days to show value is likely to be deemed a failure by many organisations. As Willerding states, SAP Sales Cloud is showing benefits and perhaps SAP need to concentrate on the ROI more than the mere fact that they have convinced customers to choose the solution. That KSB went live in October 2017 deflates this release slightly. It would have been more interesting to hear about a customer that has recently implemented the solution. Where SAP is starting to challenge Salesforce is in the application of machine learning within its CRM. SAP revealed that at least twenty customers are looking at Machine Learning capabilities with SAP Software. Though it doesn’t call out that this is purely on Sales Cloud, it is inferred. One, Insight Enterprises Inc, is already live and seeing the benefits with deal and lead intelligence predicting customer preferences and increasing sales as a result. This capability is provided in part by CallidusCloud solution Datahug. Datahug also integrates to Salesforce and appears on the AppExchange. It will be interesting to see how long that integration is maintained. However the latest release is dated 28th June 2018 so development work is continuing on the Salesforce platform. It also announced the integration of the compensation management solution from CallidusCloud with SAP HANA business data platform. Impressively the combination delivers a 15 fold increase in the calculation of commissions. Though it wasn’t clear what the previous benchmark was set using, or whether that was an issue. While SAP is aiming to take the world of CRM by storm it has not done so yet. Without genuinely new customer announcements that are less than a year old it will not have proven anything. However the combination of CallidusCloud and the integration work it has already completed should show businesses that it is serious about the sector. What it will need to do is demonstrate that not only that it can win business in the sector from legacy vendors but also from the more modern SaaS products such as Salesforce. If it can achieve that then it will start to realise the objectives that McDermott set. 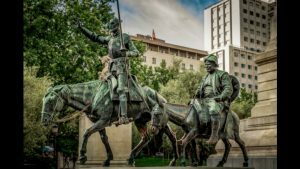 Previous articlePropy sells Sevilla property via blockchain: a first in the EU?